The Dallas Mavericks aren’t the best team in the West just because Rajon Rondo joined them. They don’t even have the best starting five, at least not when considering what goes on both ends of the floor. But their trade with the Boston Celtics for the All-Star point guard means swinging for the fences in an attempt to win an NBA championship, an attempt that might explode in their faces. Already the best offensive team in the NBA, the Mavericks didn’t give up parts that should take away from that status. Jameer Nelson averaged 7.3 points and 4.1 assists, but was shooting even more badly from the field than Rondo has been. Rondo has been less involved in the shooting game this season, but rebounds like a big man (7.5 per game) and averaged 10.8 assists a night. He’s a much better defensive player than Nelson, very important next to guys like Dirk Nowitzki, Monta Ellis and Chandler Parsons. Usually, to get a star player you need to give up depth. Nelson isn’t too big of a loss: The Mavericks got a better point guard and they have a very reliable Devin Harris coming off the bench. Brandan Wright was averaging 8.8 points and 4.1 rebounds in under 19 minutes a night – a very useful big man, who the Mavericks are trying to replace by adding Jermaine O’Neal. Jae Crowder has been pushed out of the rotation, getting less than 11 minutes a night, which shouldn’t be too difficult to replace. And still, until we see that Rick Carlisle is turning this unit into more than just a great offensive team that can get lit up by the better teams in the Western conference, the question marks will remain, and they’ll remain a little bit less appreciated than the Warriors, Grizzlies and maybe a few others. The good thing is that Rondo has been put in a perfect situation for him: Better scorers, no need for him to take the offense on his back, and plenty of options for him to spread his passing around. The Celtics let go of the final piece from their 2008 championship. There’s no use of hanging on to the past if it can bring you future success. 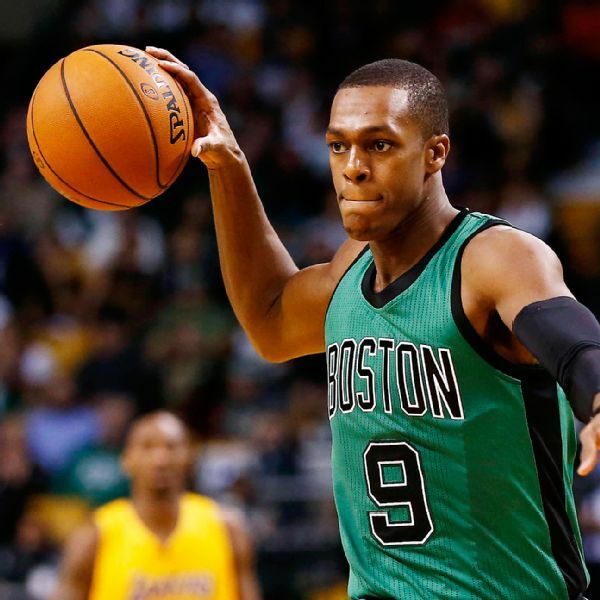 Rondo was going to hit free agency and wasn’t worth paying more than the $12 million he was making. Now he’s someone else’s problem, and the Mavericks didn’t give them any contracts they’ll be stuck with for future seasons. The rebuilding continues, only now they’re in official tanking mode, something Danny Ainge has always found it difficult to admit. Another aspect of this trade will be finding out whether or not the rumors of Rondo not being the easiest player to work with are true. Ray Allen left the Celtics partially because of him, and there have been other rumblings about his behavior away from the court (not that he’s all smiles and hand shakes on it). It’s easier to predict how well a team will do based on basketball abilities and numbers. It’s much harder trying to guess how personalities will mesh and whether or not they match.